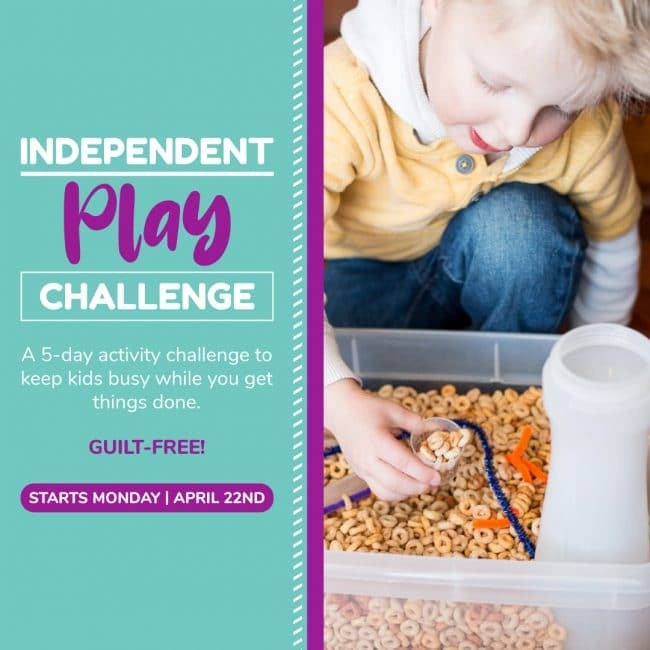 KiwiCo’s subscription box for kids aged 3-4 is perfect for parents looking for convenience and fun! After all the fun Miss 2 had with her Tadpole Crate, we knew we had to try out KiwiCo’s next step up- Koala Crate. Please continue reading below for our honest review of KiwiCo’s Koala Crate. What’s in a Koala Crate? We received the Rainbow Kit and Miss 5 had a blast working on the projects! First, she made a rainbow pillow (which she still uses to this day – one year later!). 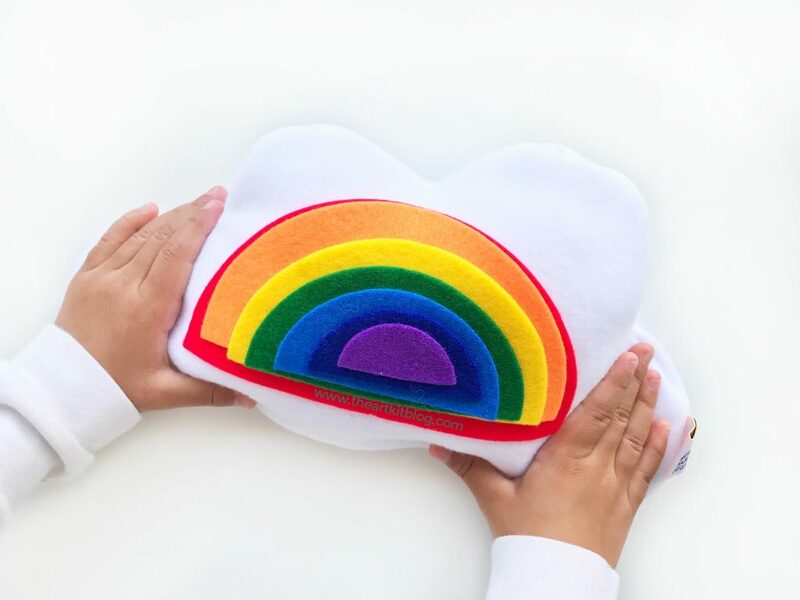 Each color of the rainbow was a felt sticker that attached to the felt cloud. After sticking the rainbow pieces on the cloud, she stuffed the rainbow and velcroed it shut. 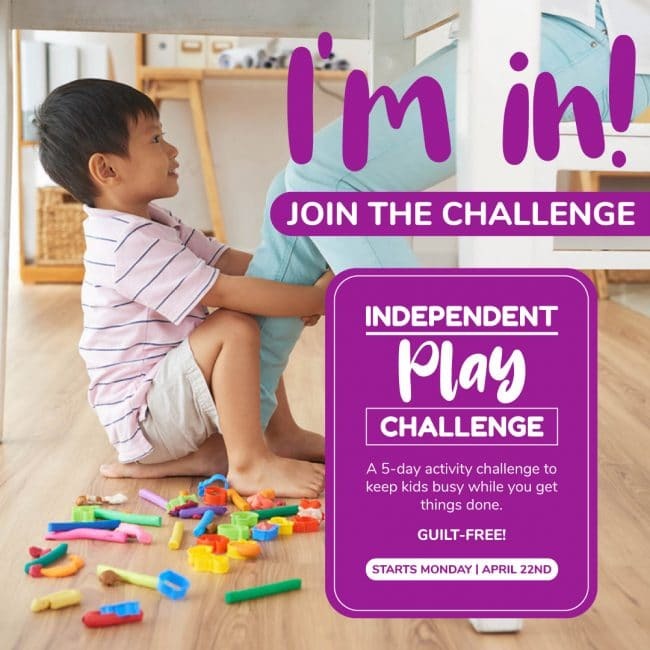 So easy but SO fun and I loved the educational aspect of it as well. 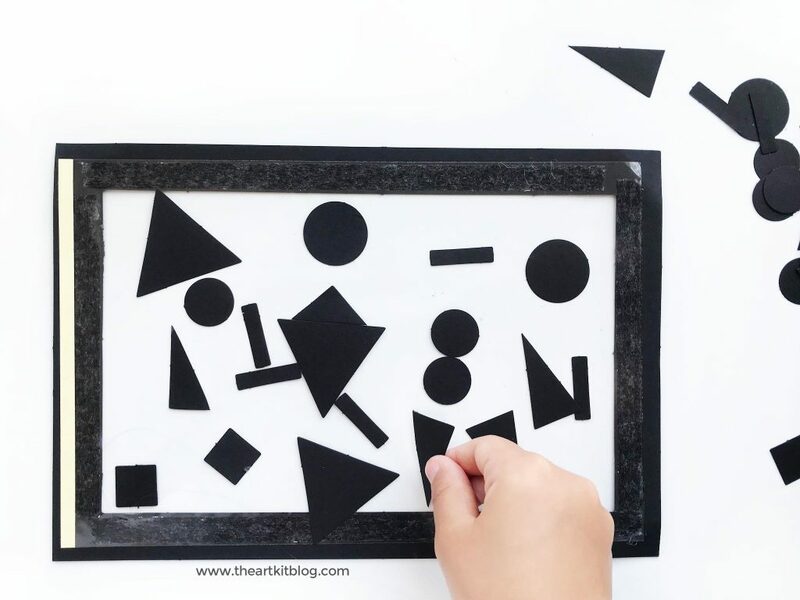 Next, she moved on to the next craft and placed her shapes on the framed contact paper sheet. She really enjoyed this part of the subscription box as well. 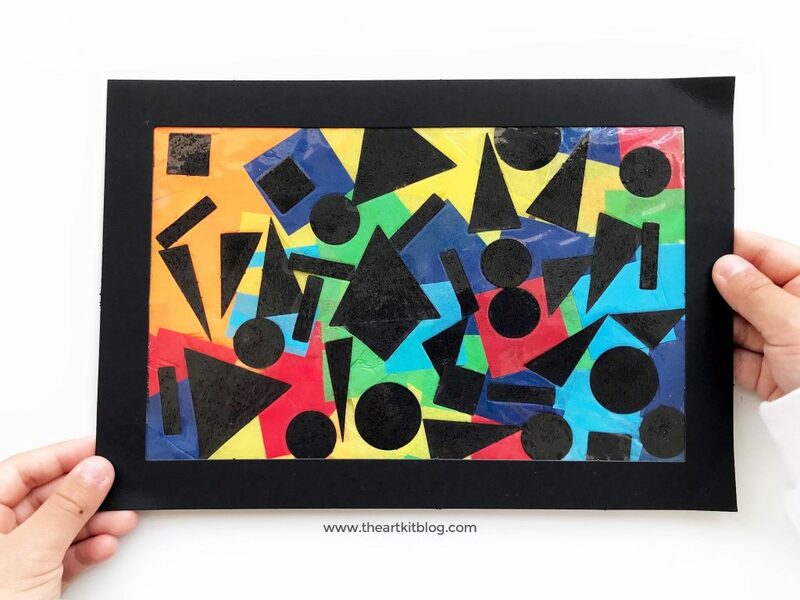 Next, she placed tissue paper squares to fill the frame. It turned out beautifully! 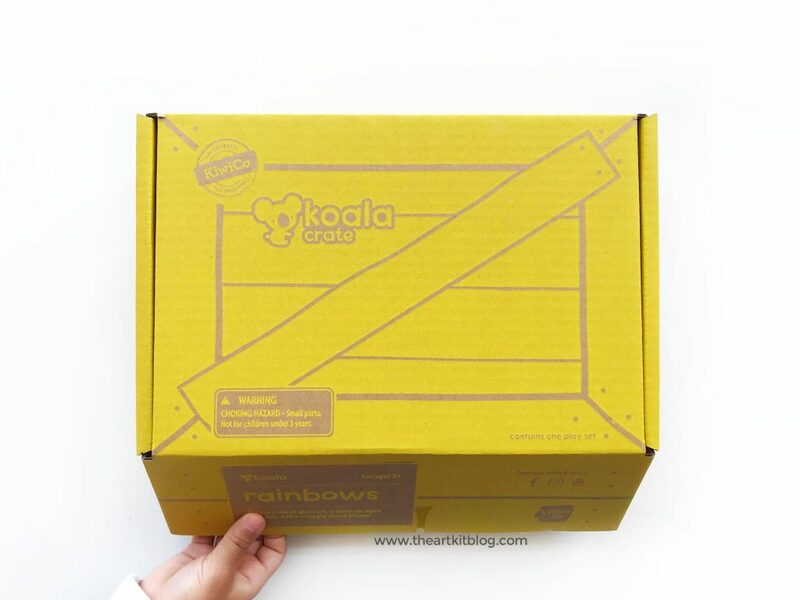 I was so impressed with Kiwi Crate’s Koala Crate! 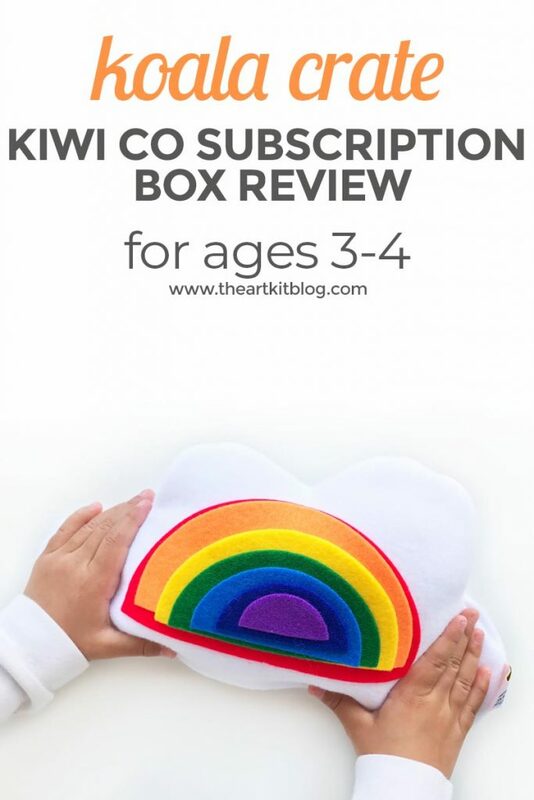 This subscription box would make a wonderful gift for children. In fact, they are currently running a sale. Head over to KiwiCo to learn more about their crates. 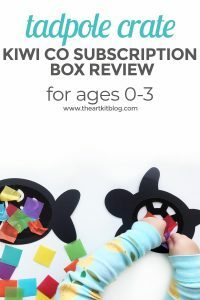 Related: Check out our review of Kiwi Co’s Tadpole Crate for 0-36 month olds here.